PowerFlare Corporation has had its products proven with some of the most demanding users in the world: military, special forces, SWAT teams, rescue units, and even extreme sports consumers. Click here to see our Customer List. The PowerFlare® product line is earning positive comments from many users, some examples of which are listed below. 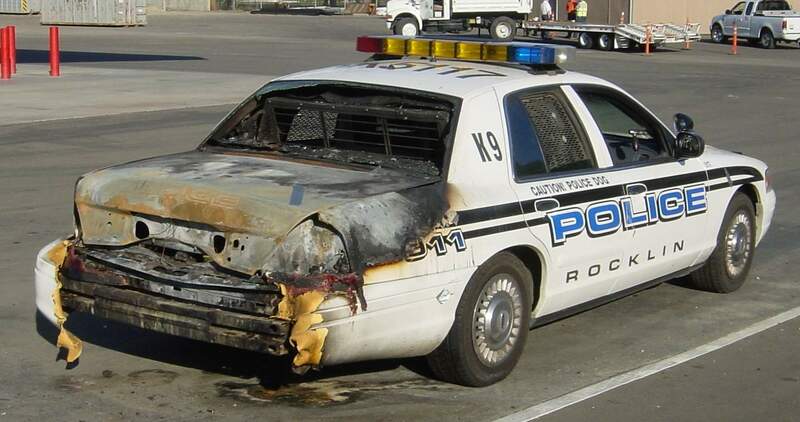 Here is a photo of the Rocklin police car destroyed in November 2004 by the unplanned ignition of a highway fusee (flare) in the trunk. Thankfully, the officer and his K-9 partner were not hurt. 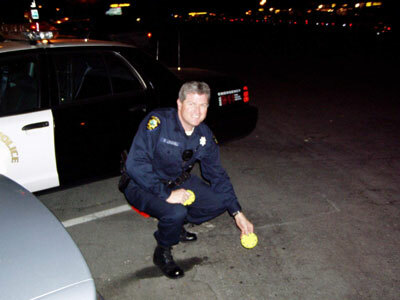 We have removed all the flares from our first responder police vehicles and are replacing them with your product. 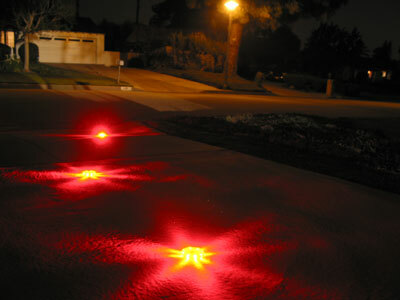 We have experienced many landings now with PowerFlare Beacons as the LZ and have found them to be superior to anything else we've seen or used. 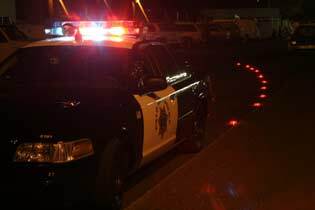 Recently, during a landing in Morgan Hill, the pilot reported seeing the beacons flashing from over 5 miles out. 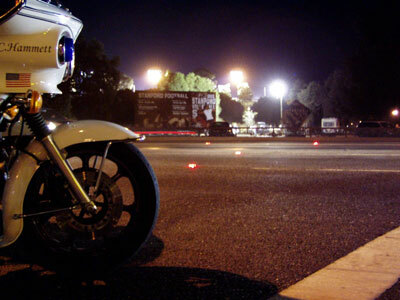 They give a dependable, accurate target that is needed when responding to emergency situations. We have been looking for a signaling device that would enable us to move away from our costly, dangerous and harmful flares. Your product passed our test & evaluation procedures with flying colors. We wanted to see if your PowerFlares would really stand up to abuse. We ran over one of your devices multiple times with a fully equipped Ford Crown Vic. Your light kept on signaling. We dropped and threw your devices on the ground from various heights. It kept on signaling. We used this device in pools of diesel fuel, it kept on signaling. We immersed it in water, and ran it over at the same time, it kept on signaling. In my opinion, the only practical way to destroy one of your devices, would be to repeatedly pummel it with a hammer, or to shoot it. In our experience, this signaling device is "Cop-proof." These devices are extremely effective in low light situations. We have had civilians, and allied agency officers stop at emergency scenes when your PowerFlare device is in use and ask, "What are those. I saw them from way back there!" 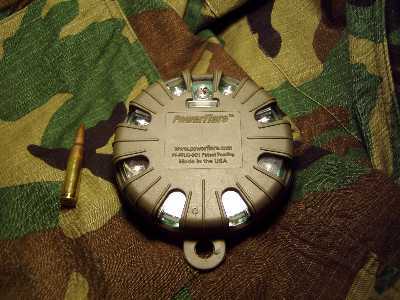 We are now testing your PowerFlare Tactical (Infrared IR) Beacons. It appears these tactical devices will be very useful during our firearms training, when we are using our rifle mounted night vision equipment. 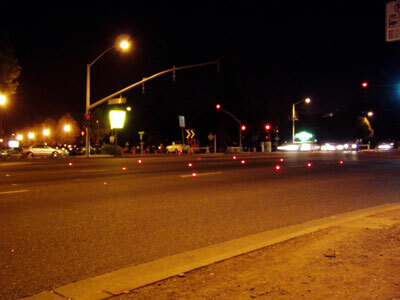 We also believe your tactical beacons will be effective in illuminating areas that we wish to clear, using night vision. Thank you for producing and distributing a product that meets and exceeds our needs. I believe your product will enable military and law enforcement teams to procure the right equipment to complete the mission. 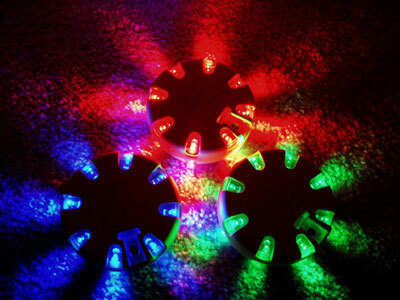 Economics: Pays for itself in 24 hours of use vs. flares! Ergonomics: Versatile & easy to use. Because of this, PowerFlare® is becoming the standard and "best practice" for government and commercial customers.  beacons and markers during search and rescue operations, etc. Universities, Schools, Stadiums, Malls, etc.  Get the new PF-200 Model.